How can we help justice-involved youth? In the video interview below, Michael Rohan (director of Juvenile Probation and Court Services) and Judge George Timberlake (chair of Illinois Juvenile Justice System) discuss alternatives to sentencing, the mental health and substance abuse treatment needs of system-involved youth, coordinating care and trauma. After struggling for years to engage the community, a parent-led effort called Family Voices, part of the St. Clair County, Illinois, Youth Coalition, offers dinner, childcare, gas stipends and incentive cards to parents working to unite support systems. Through the Family Leadership & Support Initiative Program, and exceptional leadership from Chris Hendrix, Kathy Coffee and Mary Pat DeJarnette, more than 30 actively involved parents attend monthly meetings to develop leadership skills and provide training for issues like children’s mental health, substance abuse, developmental disabilities and education. St. Clair County Reclaiming Futures Treatment Fellow, Daron Copp, organizes and provides trainings about adolescent substance abuse treatment. He teaches about normal adolescent brain development and how substance use disrupts areas of the brain responsible for memory, concentration, planning and judgment. Daron also reviews signs of adolescent substance abuse and gives parents an overview of the treatment system, so they understand assessment, treatment planning and interventions for adolescent substance abuse treatment. The Chicago Reporter has a great infographic looking at the juvenile justice system in Illinois. The flowchart explains how teens are charged, sentenced and punished for crimes, depending on their age. Click through to see the full version. Most of the teenagers walking into my courtroom were 1st or 2nd time visitors. They didn’t want to return, and we worked with them and their parents to make that first visit their last one. However, some kids need more support and intervention to change their life trajectories from negative to positive. After seeing the same teens in court year after year, judges wonder what it will take to change the behaviors that keep bringing them back into court. 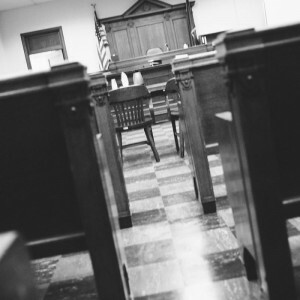 Short of sending a youth off to a state prison, the options usually available to juvenile court judges include stern lectures and warnings, mandated community service, assessment and rehabilitative services, and electronic monitoring. Sometimes judges reach a point where everything has been tried at least once, and yet the youth is again back in court with a new offense. When that happens, will the judge leave the youth with his or her family and try for rehabilitation again? Or will the judge think “been there, done that” and send the youth to incarceration far from home? Sending any young person to prison can’t be equated with sending your troubles away forever. They always return. And when they do, they go right back into the same home environment, same community, and same group of friends or gang. For young girls in the Latino community, turning 15 is a special occasion and one meant to symbolize their passage into womanhood. To celebrate this transition, families throw a "quinceañera" for the teen of honor. Once a proud tradition focusing on a girl's faith and values, quinceañeras today have become lavish parties with no shortage of alcohol. Juvenile incarceration rates have decreased over the past decade in the United States (Sickmund, et al., 2010). In Illinois, between state fiscal years 2000 and 2010, total admissions to the Illinois Department of Juvenile Justice (IDJJ) dropped 19 percent, to 2,162. In addition, the number of youth admitted to IDJJ for a new sentence (as opposed to a technical violation of parole) fell 34 percent. Despite these promising reductions in youth incarceration, budgetary implications of these incarcerations are significant in a tough economy. Further, the human cost of incarceration is a constant concern within the criminal justice community and society. IDJJ releases more than 2,400 youth back into the community each year and little is known about their post-release offending rates, or other characteristics. The Illinois Criminal Justice Information Authority recently examined populations of youths released from IDJJ facilities between state fiscal years 2005 and 2007. The resulting reports present demographic and incarceration offense information and information on releasees’ prior arrests and incarcerations. The study further tracked offender re-arrests and re-incarcerations for up to five years following their release, in both juvenile and adult facilities. The Illinois Supreme Court issued a strongly worded endorsement this week for zealous lawyering for kids—the same kind of zealous lawyering that adults routinely expect for themselves. In In re Austin M., Austin M. successfully appealed his delinquency adjudication, convincing a majority of the Illinois Supreme Court that a lawyer cannot simultaneously assert and defend his juvenile client's innocence and also claim to be seeking the truth "the same as the court and the same as the prosecutor." Characterizing this dual mission as "hybrid representation," the Court held that a lawyer cannot serve as both defense counsel and a guardian ad litem on behalf of a child charged with delinquency. Since the time that Juvenile Law Center opened its doors, we have worked to prevent lawyers from betraying their young clients. While this is important for all defendants, it is particularly so for youth in whom we want to instill a belief in fairness and the rule of law. These kids must also know that they have an advocate that they can confide in—and that the lawyer won't breach confidentiality in the lawyer-client relationship. They must have a lawyer they can return to when they have complaints about the system—this won't happen if they perceive the lawyer as just another arm of the system. A society that has granted children constitutional rights should be concerned when lawyers themselves undermine those rights. Parts of Chicago and surrounding suburbs are taking steps to reduce the number of youths who cycle through the doors of the state juvenile lockups. Officials estimate that they see about 50 percent of released youths returning to incarceration at some point following their initial stay. That rate is simply too high, given the societal costs of their continued delinquency as well as the taxpayer costs for repeated bouts of secure confinement. A year in a secure facility in Illinois costs over $80,000 per year. A non-profit has recently begun a three year program under a grant from the Illinois Juvenile Justice Commission, which aims to slash recidivism rates by targeting the underlying issues, whether related to substance abuse or family problems. Gun buyback programs have been hosted for decades from Los Angeles to New Jersey, with goals of reducing the number of illegal guns on the street and offering citizens a chance to turn in weapons without fear of being arrested. Gun buybacks also provide an opportunity to build relationships with vulnerable young people. St. Clair County Reclaiming Futures, one of 29 Reclaiming Futures communities, is promoting an upcoming event in their area. The New Life Community Church, with assistance from the St. Clair County State Attorney's Office in Illinois, is sponsoring a gun buyback on Saturday, August 25, 2012. Participants will be eligible for a $25 grocery gift card in exchange for each gun they turn in. They can also receive consultation and (in some cases immediate) assistance in a variety of areas—from health and education to transportation and housing. Please pass this along to your colleagues in St. Clair County who are working with teens to break the cycle of drugs, alcohol and crime. Has your community offered a gun buyback program? If so, we'd like to hear about the positive results. Enrolling disadvantaged teens in pro-social activities may greatly decrease violent crime arrests and increase graduation rates, according to a new study by the University of Chicago Crime Lab. In the Crime Lab study, 800 disadvantaged boys in grades 7 - 10 were placed in Becoming a Man - Sports Edition (BAM-Sports Edition) programs during the 2009-2010 school year. The participating boys experienced a 44 percent drop in arrests for violent crime and a 23 percent increase in graduation rates. The BAM-Sports Edition program focuses on devleoping skills related to emotional regulation, control of stress response, interpersonal problem solving, goal setting and personal integrity. These are social-cognitive skills that research shows predict success inIt includes small group sessions, out-of-class homework assignments and after-school sports activities. The sports activities are designed to reinforce conflict resolution skills and program attendance. Are we reducing crime by limiting the use of incarceration? When casual readers of the news media search for stories about juvenile crime and justice today, they find a lot of good news. Other than the perennial media coverage of individual crimes and victimization, an online search about juvenile justice today generates dozens of stories about states uncovering abuses in their youth corrections systems, reducing their rates of juvenile incarceration and increasing their reliance on community-based programs for young offenders. Many of these stories refer to the ongoing decline in crime and violence as possible proof that these changes in policy and practice are improving public safety. But, a prudent reader will stop to ask about the direction of causality in these explanations. Are we reducing crime by limiting the use of incarceration, or is incarceration down because crime is down? The question is more than a topic for academic study. We need to consider our answer carefully if we hope to sustain these recent improvements over the long term. The number of juvenile offenders being held in secure correctional institutions has been falling nationwide. Advocates in the juvenile justice field welcome this reform because reductions in the use of secure confinement allow state and local jurisdictions to intervene with young offenders in their own homes and communities, which is less costly and can be more effective than incarceration in reducing recidivism and preventing crime. My colleague Douglas Evans and I recently reviewed the most prominent juvenile correctional reform models from the past 40 years, and we concluded that some models of reform were likely to be more sustainable than others. Specifically, we recommended the "realignment" approach now being implemented in California and those established in Wayne County (Detroit), Michigan since 2000. Over half of the youth released from Illinois state juvenile detention centers will return in three years or less. A new report released today by the Illinois Juvenile Justice Commission takes a hard look at the state's juvenile justice system and finds it severely lacking in successful rehabilitation efforts. Not only is the state failing these kids with its feeder system into the adult criminal justice sytem, it is also failing to keep communities safe while costing taxpayers $86,000 per incarcerated youth per year. "An essential measurement of any juvenile "reentry" system is whether youth returning from incarceration remain safely and successfully within their communities," according to the report. "By this fundamental measure, Illinois is failing." The "Youth Reentry Improvement Report" found that the system does little to prepare youth and families for the youths' return home; paroled youth rarely receive needed services or school linkages and too often are returned to expensive youth prisons due to technical parole violations; and Prisoner Review Board (PRB) parole revocation proceedings are largely perfunctory hearings where the youth's due process rights are not protected. "Our research documented that 54 percent of juveniles being sent to state youth prisons have been there before and are returning because of technical parole violations," said George W. Timberlake, who is Chair of the Illinois Juvenile Justice Commission and retired chief judge of the Second Judicial Circuit. "The system is not doing enough to rehabilitate juveniles inside and outside prison walls, and it often is too quick to return youth to expensive prisons where failure again is likely.